A few years ago, Neptune Society took care of my mother’s cremation. They were diplomatic, tactful, and caring. I had the same experience when my dear friend passed away, recently. I can’t say enough of how well they eased the agony of the situation. I would recommend Neptune Society to anyone seeking cremation. The folks at the Neptune Society were extremely prompt when we needed them. They came to our location which made it easy. They did not give us any type of “hard sell.” They gave us exactly what we wanted. The prices were very reasonable. They discussed everything with us and answered all our questions. They were also very accommodating of all our requests. The service was very professional and they followed through on all their service. I recommend them! Thank you to Jason Costin and Anita at Neptune Society. My wonderful father passed away recently and we were very thankful that Neptune helped us through this very stressful time. Jason promptly provided death certificates and handled sending my father’s remains to an out of state Cemetery. Thank you for your professionalism and support. I wanted to thank you and everyone at the Neptune Society. My aunt passed away and had a preneed contract. I never knew that she had paid for her services and called the Neptune Society to try and plan funeral services. I was connected to Raymond Scott who found her contract and guided my family through this difficult and confusing process with compassion, kindness and a level of professionalism that is not to be expected nowadays. He called me to follow and kept us informed as to each and every step in the process and when her ashes were scattered in the sea, we asked that we are called so we could say a prayer and raise a glass of wine in her honor. I recommend the Neptune Society and give Raymond Scott 5 stars which were well earned and deserved. The Neptune Society was there for my family in its time of need. The representative who spoke with us (Jimmy Sasser) was kind, respectful, and informative. He led us through the cremation process and was always on hand to answer our questions. Thank you, Neptune Society. My mom had mistakenly let her life insurance lapse and we had to find an alternative plan for her aftercare. Neptune Society was an affordable option for us. We were made aware of more expensive options but did not feel pressured. Unfortunately, the time came to use the plan too soon. It couldn’t have been more simple to use. I gave the hospital my mom’s Neptune society member number & their phone number and they took care of everything. Raymond Scott was respectful and kind every step of the way. When her Dr’s office was dragging their feet signing off on the death certificate. He paid them a visit to pick it up and called to let me know it was in possession. They did everything they promised. Now it’s time to set up a plan for myself. I want things to be as easy for my family as they were for me. I am a Veteran who was Diagnosed with a rare non-curable Lung ( Auto-Immune disease ). Not Cancer but the average survival time is Ten years. To know that when my time comes that my Family will not have to worry about Funeral Arrangements or Bill’s. They can get on with their lives and I can go to my next one or see the loved ones that went before me. The person I dealt with was kind, compassionate and explained everything to the last detail. I am at peace with my decision and where And how I get where I am going. When my mother passed away it was a sad time for all of us. From the moment the gentleman who took mom to the Neptune Society until I received her back from Russell the empathy and help were outstanding. From helping to place The obituary in different states to explain the difference between the different type of death certificate. Russell answered all my questions in a prompt and knowledgeable way. Would highly recommend these people. I have only good things to say about the Neptune Society, as they took care of every detail you can imagine associated with having to bury someone. Both my parents had pre-paid their burial services, which I would recommend to everyone, as it relieves those left behind From having to make difficult choices. Mr. Scott was an exceptionally kind, efficient person to deal with, as was his entire staff. What that meant was that anytime I could not get a hold of him directly, the person I spoke to was more than willing and capable of taking care of my requests or answering my questions. The Society took charge immediately, from the disposition of my mother’s body to Social Security Administration filing, and sending her ashes to their final resting place. This was extremely important to me, as I live out of state. They were timely in their response to everything we had to take care of in terms of paperwork and contacting authorities – just the sort of things you don’t really want to take care of when you’re grieving. I highly recommend this form of burial for absolutely everyone, and the Neptune Society is the premier place to go for that service. I want to thank everyone for their kind, caring professionalism as they guided me through these difficult but necessary obligations. 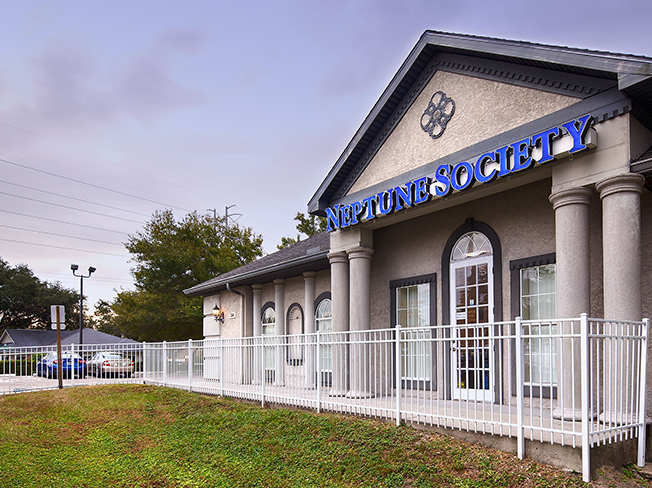 My husband and I were extremely impressed with the efficient, accurate, professional, thorough, and friendly experience we had with Veronica Williams and the staff at the Palm Harbor Neptune Society location. This is our second experience with a family member’s cremation through this office. Both experiences were extremely positive. The staff handles every detail in a timely manner from picking up the deceased to all needed arrangements involving the death certificates, processing, and ashes. It was a privilege to work with Veronica Williams and the staff at this location. Russell Lavender was amazing. He was professional and courteous. Answered several phone calls promptly and gave us his undivided attention each time. Dealing with Mom’s arrangements was emotionally difficult, but with Russell help, honoring her wishes wasn’t. It was a very positive experience, for a very trying time. Thank you, Russell. Veronica was awesome. She put my sister-in-law and me at ease immediately. She treated us like friends that she had known for years. She paced her presentation to take in our emotions, humor, and ability to absorb information and make decisions. I am also very amazed and grateful for the emails and letters that arrive just when I need support. I will recommend this person and this facility to everyone. I can’t thank you enough for all the assistance you gave my family and me after my husband’s death. You were not only empathetic but you gave us valuable advice and sent us the copies of his death certificate incredibly fast. Our grieving was made easier and less stressful. Bless you. On behalf of my sons and myself, I would like to take this opportunity to thank you for the way that you handled all of the arrangements for my husband Michael’s cremation. Your organization was very professional and certainly compassionate to our needs. This made the process feel less painful for all of us. Thank you for all of your support through this most difficult time. I would highly recommend the services of the Palm Harbour Neptune Society! From the time our father was removed from the facility where he passed away, to the final pick up for his remains, I can’t express enough of our appreciation for the dignity that was bestowed upon our father. Michael Meadows was sincere and accommodating during our families’ time of mourning; communications were assuring, and we all experienced respect and dignity during our bereavement. There weren’t any unexpected fees in the prepaid contract, and they made a difficult situation bearable. Thank you for everything! We have decided on cremation and when we talked to the representative there was no pressure and she was able to answer all our questions and then some. We revived our items quickly that we have to fulfill. We are very happy that we decided using Neptune Society. Everyone was very kind, patient and professional in a very difficult situation. They answered any questions I had and returned my calls in a timely manner. I was so thankful my mother had prearranged everything. She was so thoughtful in her life; even until the very end. My family had not one, but two deaths in the span of three months. Jessica Watts was informational for us, yet very personable when my Dad died in November. She laid out all the steps for us, informing of us of all the details we’d incur in the next few weeks. Three months later, we had the opportunity to work with Russell Lavender concerning my Mom’s death. Russell was the consummate professional and was also the perfect combination of personable and very competent. During such difficult times, it was invaluable to have their experience, knowledge, and patience with our family. The Neptune Society was truly a blessing to our entire family. Mr. Raymond Scott from The Neptune Society is extremely professional. He easily walked me through all the steps I needed to take. Unfortunately, this is my second experience with them. I would highly recommend The Neptune Society for your funeral needs. Everyone from the person that answers the phones to the people who help you meet your needs is kind, compassionate, & understanding during your time of grief. My mother died recently and had made plans to be cremated with the Neptune Society. I worked closely with Sena in the Palm Harbor office and she was very nice to me. I wrote her many emails and there were many details to discuss and to put into order. She was always kind and compassionate and willing to answer all my questions. I thank you for your cutesy during this stressful time. My Mother passed away unexpectedly. Year after year my mother would send me a copy of her Neptune card. Thank heavens she did. I called right away after her passing and I’m so grateful I did. They were so gracious and empathetic. Jason was a god sent. He was so soothing and comforting. I couldn’t think straight. Jason walked me through the process. It was so easy. I will be looking to have Neptune take care of my arrangements. Thank you Fort Myers Neptune Society. To have a funeral or a cremation for a loved one is always a difficult time, however, I want to thank Kelly and Gabby for their outstanding work in helping me with all of the paperwork and logistics in getting things orderly done in the cremation process of my father. They were very understanding and compassionate, willing to go above and beyond in their assistance of ensuring everything was taken care of during the process and extremely professional. I highly recommend Neptune Society if cremation is right for your family. October 16, 2018, started like any other day; but midway through, I found out my Father David was rushed to the hospital with chest pain. Sadly, by the time my Mother arrived, he had already passed away. The sudden loss of our beloved family member left us in shock and despair. In the midst of our crisis, we contacted the Neptune Society. My Mother learned of them through the Star Center in Dania Beach Florida, where my Father was an instructor and trained thousands of maritime officers before his retirement about 4 years ago. I was personally contacted by Chris Rhodes of The Neptune Society who immediately put me at ease. At the time there was so much sadness and confusion relating to the passing of my Father. Chris was compassionate and understanding while he explained the process. I remember crying a few times and he paused and even comforted me. He was supportive and professional and used a language that I desperately needed. He told me “Your Father is in our care.” Chris reiterated this a few times throughout the process and let me know in a loving way that my Father was being “cared for.” Initially, after his passing, my Father’s remains were at the hospital. Chris and the Neptune Society arranged for his pick up, in order to be transported to the Medical Examiner’s office. Since my Father’s wishes were to be cremated and spread at sea, Chris made the arrangements with a wonderful funeral home nearby. There was also paperwork that needed to be filled out and signed; Chris streamlined the process and made it very easy for me during this difficult time. Although I knew my Father’s wishes were to be cremated and his ashes spread at sea; having to go through the process would have been daunting. Not only did Chris and the Neptune Society handle all the details, but they also provided a beautiful scattering urn which is specifically designed for an (at-sea burial.) During my communications with Chris, I told him my Father was a Navy Veteran. A few weeks after his memorial, my Mother opened a package from the Neptune Society. It was a beautiful American Flag in my Father’s honor. October 16, 2018, started like any other but by the end of that day, our lives had changed forever. As we struggle to put one foot in front of the other and march forward; we are forever grateful to the Neptune Society, and specifically Chris Rhodes for the time, care and attention to took during one of our darkest hours. Jason and his team were very professional. My family and I were extremely happy with our whole experience with the Fort Myers Neptune Society. My mother planned her funeral arrangement in advanced. I contacted Neptune Society to implement her plans. From the collection of my mother until the return of her ashes they were helpful, empathetic, and kind every step of the way. Veronica took the time to go over my mother’s arrangements and explain it in detail with me. Thank you for your kindness. I am so very pleased with every aspect of Neptune Society ! Every detail was handled in a kind, professional manner. I have recommended Neptune to several friends and will continue to do so to anyone who asks. I will be forever indebted to Neptune because of the feeling of peace I had from the moment I contacted them after my husband’s passing. When it was time to make arrangements for my Mom, who was battling cancer, I began researching a service that could serve our needs. I am located in SWFL and my parents are in Ft. Lauderdale area. I was able to make the arrangements from my home in Estero, FL. A representative came to our home. She was very helpful with lots of information. She made the process very easy. We purchased my Dad’s arrangements a couple weeks later in the Ft. Lauderdale area. After Mom passed we went to the Neptune Society to choose an urn that was what my Dad wanted. Everyone we talked with, on the phone and in person, was professional, compassionate and caring. Just wanted to reach out and say thank you to a helpful, kind and a person full of compassion. My husband passed away and Raymond at Neptune Society in Plantation went out of his way to make the process as smooth as possible, Afterwords, he called me to just ask how I was and if I was taking care of myself. I thought he was trying to sell me something, but he just wanted to say hello and let me know that he was thinking of me. I had told him that I was alone and had no real family here in Florida/ What a kind person, you have an excellent person looking after your families. Everyone was so kind at Neptune when my Dad died in October. It was so nice to be able to do everything online as my Dad had made all the arrangements with Neptune years ago. It made the process so much easier. When my father passed away, Russell was a warm and supportive voice as he helped us navigate the process. He made a difficult time easier, and we are grateful for his assistance. My family had an outstanding experience with Neptune. Trina was amazing and helped our family through the process in a professional and compassionate manner. She talked our family through every step, from the passing to the acquisition of the death certificates to the delivery of the urn, and kept in close contact from beginning to end. She expedited the forms we needed (our case involved an unexpected delay on the hospital end of things) and followed through with everything we needed ahead of schedule. Trina is a master of interpersonal communication, and I highly recommend her in particular and Neptune in general. Cremation is the most natural, economical, and responsible way to deal with the end of life. 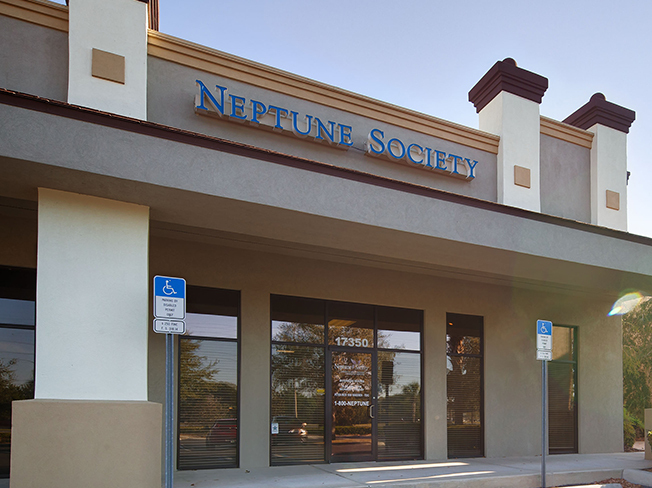 The staff at Neptune Society explained all of the issues involved in the process and provided a very reasonable payment plan. This was the first time I’ve had to deal with a death in the family. I’ve never had to make arrangements before let alone for my mother who was way too young but God needed her more than I do. Christopher the man first I’ve spoken to the whole time has been absolutely amazing… extremely caring and gentle to my needs and my family’s needs thankfully for them has been a very easy process so we could all morn and start to heal. I appreciate them more than they will ever know. My husband just passed away – today will one week. I don’t know what I would have done without the services of the Neptune Society and Mr. Jimmy Sasser. He has been with me all the way, ready to assist in any way and answer any and all questions I had. Thank you Neptune Society and you wonderful, professional staff. I am certainly going to always recommend you. From the knowledgeable and informative representative who came to my house to the helpful and thoughtful Christopher Rhodes who helped me at the end, Neptune was right there to provide information and instructions on what to do in a time of need. Highly recommend their product and services. Neptune Society was quick to respond. I called them one day just to find out where they were located, and then I had to make an emergency phone call the next day saying that I needed their services because my husband passed away that day. They told me to come right up and that they would take care of me. So, I did. They explained everything to me, they were more than considerate, and it was just a wonderful experience. We did check on a few of other companies before we made the decision to go to Neptune Society, and I didn’t like the feeling when I walked in. But with Neptune Society, as soon as my son and I walked in the door, we made the right decision. When we met with Jason, the manager at Neptune, and told him what we wanted, there was no pushing about trying to get us to add things to what we were looking for. We got the death certificate complimentary and they also included a beautiful red mahogany box. I would highly recommend them. I was very happy with dealing with Lamario Johnson and he made a difficult situation so much better and was very caring and compassionate in dealing with the death of my husband. Thank you so much and I am happy I have my arrangements made ahead of time! Mike Meadows and everyone at Neptune Society was very kind and compassionate. It was a smooth and easy arrangement for my mother’s cremation. They answered all questions I had and replied to any emails I sent very promptly. I recommend their services highly. This is the second time in two years we have had a need for help from the Neptune Society. My sister and I have found their entire staff very caring and helpful. Jessica helped us when our Mom died suddenly. Russell was there for us last month when our Dad died. Everything was taken care of including arranging for their internment (together) at the National Cemetery. We appreciate their care and concern for us. We worked with Lomario Johnson for my husband’s cremation. He was kind without being patronizing, professional yet relaxed, and patient with our questions and concerns. He listened carefully and explained exactly what, how, and when things would happen. We are grateful to have had such a person to help us today. In my time of need, Jason Costin /Location Manager, of the Neptune Society in Ft Myers went above and beyond to make things easy for me. Thank You, Judy H.
My Mother was the one that had everything set up with Russell at Neptune Society. All I had to do was call them and they would handle the rest. They contacted me when her remains were ready and ordered the death certificates. Even helped to fix a clerical error on the state’s side. Very pleasant and professional, and would definitely recommend their service’s to help in you in your time of loss. I just had the most unbelievable experience with a young lady named Sena. She was a Big Help. Please call the folks if you are looking for a final option! George Scott could not have been more helpful when my mother passed away a month ago. He made the entire process stress free and everything was accomplished within a few weeks time. I would highly recommend the Neptune Society for is professionalism and compassion. My stepfather had Neptune, and when he passed, they were amazing. He also bought Neptune for my mom when they got married, and she recently passed. My husband and I both joined Neptune now because their compassion and caring for everyone are wonderful. From the top to the bottom, we had an outstanding experience. They never once belittled us. They made us feel like we were their family and it was their family that was also passing. It was an amazing adventure. I saw them bring the gurney in but I didn’t really pay attention. But I asked a nurse from Hope Hospice if they were putting her in a black bag because I didn’t wanna see that. I have seen others do that. The nurse went out to their car and asked them if they were putting her in a black bag, and they told us it was actually clear. I said, “Oh, that’s even worse.” But when they came in with a gurney, they went on into the bedroom and they were very polite. They asked, “Is it okay if we enter the room?” And when they came out, they did not put her in either bag. They had a sheet that they were able to wrap her in, and then they had a quilt. It’s green trimmed and it was just like a bed of purple flowers that was draped over her. It could not have been more perfect, more beautiful, and more peaceful to watch her go out that way. I was in amazement and so was my oldest daughter. We were able to take advantage of Neptune’s preplanning services as well. We have them take out $50 a month, both for my husband and I. We only have another year to pay on it. My oldest daughter also got information to talk with her husband about it. I am telling every single person I know about how wonderful, how compassionate, and how loving and caring everyone at Neptune made us feel, and how fast they worked to accommodate us. My husband and I signed up with Neptune Society’s pre-planning services several years ago and their price was reasonable. My husband passed away on September 8th so I was very pleased with all the help that we got from the representative named Jason in the Fort Myers area. The rep was very friendly, sympathetic, and just was there with any questions I had, provided all the information that I needed, and I have no complaints. I would like to sign up for myself but right now, I can’t do it. Still, I highly recommend Neptune. Russell was very professional and caring at the same time. Made what I had to do a lot easier. I highly recommend Neptune Society and specifically thank Jason Costin, Service Manager. I have dealt with funeral home services in the past, and believe that Neptune Society provides a superior service in the most difficult of times. Jason was extremely kind and made the unbearable process bearable. My whole family thanks him and the Neptune Society. Great and timely service. Walked me thru the whole process. Could not have been easier. My husband and I signed up for Neptune several years ago. We consider it a kindness to those we leave behind as nearly everything is prepaid and as I said before everything is well explained before paperwork is sent out. Catherine Saake went far and beyond my expectations not only in providing detailed info but providing info to help me through this decision making process. She is a neighbor but did not offer info until I asked; from there on in it was like talking to a friend. Life does not always offer an opportunity to find a friend and the person who can help when you are trying to make it easier of your loved one if something happens that may not be planned. Now I am on the road to planning with the knowledge that I needed. We recently lost our father and Neptune Society handled everything. What a blessing! They took care of all of the arrangements so that we could be with my mother. We met with Jessica Watts to make some final decision and she was wonderful. If your choice is cremation I highly recommend this professional and compassionate organization. My Father previously purchased Neptune Society services for himself and my stepmother, unfortunately, he passed away in May 2018. They handled everything with the utmost dignity and respect while helping us wade through technical issues such as providing death certificates. Since our family is spread out throughout the country we were not going to have a service immediately they overnight-ed my fathers remains to our out of state home. They even provided an American flag wrapped around his urn to respect his military service. Recently I needed additional copies of my fathers’ death certificate (October 2018) and called the Neptune Society of Fort Myers and within a few days, they overnight-ed them to me. Since I live half the year out of state this was a big help and I sincerely appreciate everything they did for my deceased father and I, Thank you. My parents made arrangements with Neptune Society a number of years ago. They gave me the card and let me know about the company. My father passed away suddenly in a rehab home. At the time, he had just been released from the hospital. Everybody was expecting everything to go fine but then he didn’t wake up in the morning. I was totally flummoxed so I gave the nurses the Neptune card and they called the company to cover everything. They came and picked up my mother and got his effects. They delivered those to me. Afterward, they called to have me come in and they explained the whole process. I was very comforted as I had no clue as to what to do. The people at Neptune were super kind. When I called with questions, they always answered right away. It’s a terrific organization. My parents arranged things 10 or 15 years ago in another state and Neptune had all the records. That was very impressive because I initially thought that everything was going to be a mess and Neptune was not going to know what was going on. But then, everything was there. Someday, my husband and I would definitely consider Neptune. It was a very comfortable experience. My mother has passed recently and Neptune is wonderful. My family could not have asked for more. They are the most gracious, kind people to work with. The compassion and kindness are extremely amazing. We have never seen any company work so fast to make our family feel this much comfort in our time of need. We will recommend Neptune Society to everyone we know. Thank you from all of my family. The Fort Myers Cremation Society was my “angel of mercy” when my beloved husband passed away in September. Jason was there to answer all my questions and guide me through the process. He took care of all the details for me, made sure that I had all the information I needed, was always kind and sympathetic, always available. I highly recommend this organization — would have been lost without them. There was little for me to do as all the details were taken care of without delay. Losing a loved one is a painful experience — they made it manageable. Thank you, Jason! Thank you Neptune Society for hiring the best! I highly recommend the Neptune Society and specifically want to thank service manager Jason Costin. Excellent customer service and very compassionate. Our family was well taken care of and we are eternally grateful. Your office responded promptly and connected me with Russell who walked me thru the steps of what to do in a very caring manner. He followed thru whenever he said he would resulting in the answers I needed. The pre-planning was well worth the effort. It is good to know that I have seen the process as I lived thru it with the death of my spouse. I have made arrangements for myself in the same manner. When my mom passed unexpectedly, we had no pre-planned arrangements. After we contacted Jason Costin at Neptune Society, everything fell into place perfectly. He guided us through the process with great care. He responded quickly to questions and handled everything quite professionally. Jason’s experience was evident in all that he did, and he exceeded all of our expectations in every possible way. 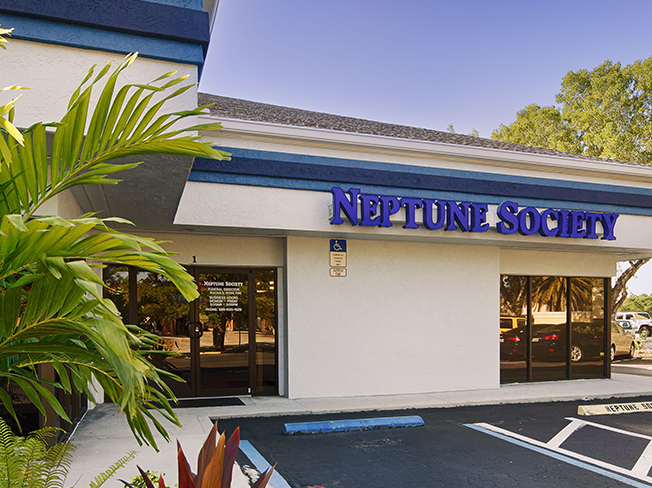 I highly recommend the Neptune Society of Fort Myers, Florida to anyone who is looking for excellent service and care for a loved one. Thank you! So grateful to the entire staff at Neptune Society for helping me give my dad a perfect send-off. Right from the day he died, they were there through the entire process, knowledgeable, caring and empathetic. I have enlisted their services upon my death. Thank you all. The Neptune Society representative was very helpful and efficient. They proceeded in an expeditious manner to complete the paperwork, obtain a death certificate and send the remains. Highly recommended. I called National Cremation Society and Neptune got back to me first. Their team helped me out and they made sure I had whatever I needed. They always returned calls as well. Jason, the person who I worked with, did a great job too. We tried to get their preplanning services, but we didn’t have the time and it just didn’t work out. Still, I was very satisfied with Neptune. They were very good and they would bend over backward. Very pleasant experience with all personnel. Lisa ** was extremely helpful and informative during the initial contact with your company. I feel the price was fair and approached in a proper way. Overall, one service. I had read about Neptune from a couple places, and it seemed like if your wish was to be cremated, that would be the best way to go about it without any unnecessary falderal. We called them and they sent a saleslady over. She explained it all to us very clearly and gave us all the options, and we thought that it was a wise thing to do. It would keep our kids from having to deal with all of that so we signed up. When my husband died, I was asked at the hospital who our funeral director was and I said Neptune Society, and that was all I had to do. I didn’t have to do anything until I went to pick up the ashes, which I wouldn’t have had to do if I didn’t choose to. It’s a good way to peacefully disappear. Patti ** (independent sales representative) arrived at our home on time. She explained how the Neptune Society process for cremation works and answered all the question my wife and I asked. She was very professional and easy to talk with. The Neptune Society has always had an impeccable reputation and now I know why. The process was easy and effortless. This is something I have been wanting to do for a long time and I am glad that I chose the Neptune Society for my cremation service. This was a very good experience working with Jason at Neptune of Fort Meyers. We were very informed of the process of handling our loved one. Thank you, Jason. I am new to the cremation world. I recently lost my husband of 18 years who specifically wanted cremation. Every single employee was thoughtful kind and focused on what my family needed. The process when prepaid is exceptionally simple and takes all of the pressure off the survivors. I am so happy my late husband and I chose Neptune Society. I would like to thank the people at Neptune Society of Jacksonville FL for helping to ease the burdens of some dark days. Russell Lavender helped so much. He is a good listener and a true gentleman. Russell Lavender was a light in our darkness. He guided us with his knowledge and compassion and answered all our questions with patience and concern. Thank you, Russell, for your kindness during this difficult time. My father was an extremely kind man, and I believe one of his final acts of kindness was to prepare for his passing with the Neptune Society. I only needed to make one phone call, and even though he had made his arrangements 15 years ago in another state, everything was on record and immediately taken care of for me. The staff in Jacksonville were all very courteous and professional. They guided me through the process, giving me options without any pressure. I am truly thankful for their help and compassion during this difficult loss. Since my friend Chris Lang had made his arrangements years earlier, I didn’t have very much contact. Jessica was great with the arrangements and getting us revised death certificate in a short amount of time. My parents planned ahead of time with Neptune Society and it worked out well for everyone. When my husband died, I was very grateful for the services of the Neptune Society. They handled everything from his death in the hospital to my receiving his ashes. They did all of this with dignity and concern. I am so glad that we signed up with the Neptune Society. My dad recently passed away and Gregory was very helpful, kind and professional since I had never dealt with the cremation process before. He answered all questions and explained what was going to happen each step of the process. I would recommend the Neptune Society at this location to anyone. My mother recently passed away. She wisely made pre-arrangements with Neptune a few years prior. All personnel at Neptune–from the initial purchase of service to the final cremation and delivery of her ashes– were very professional, patient and kind. Everything went smoothly just as one would want. I have nothing but praise for everyone we worked with. My son and I were very impressed with the efficient and sensitive service and comforted by the care. The Neptune Society took care of my Mom’s needs many years ago and more recently my Dad’s. They were both cremated and sprinkled out at sea and the time was right for me to get my affairs in order to ease any stress from my only daughter when my time comes. I am battling cancer right now and it is pretty tough on all my loved ones, so I am very happy with this business and everything they offer. I highly recommend The Neptune Society and all that they do. I thank them deeply. Jason was so kind, caring, and comforting, taking my every phone call, answering all my questions, and tending to each detail every step of the way after the passing of my husband. I am so grateful for his expertise in assisting me through this difficult time. WHEN MY FATHER PASSED AWAY THE NEPTUNE SOCIETY OF FORT MYERS AND ITS EMPLOYEES MADE THIS LIFE ALTERING PERIOD OF MY LIFE MUCH EASIER. I CAN ONLY THANK ALL OF THESE WONDERFUL PEOPLE FROM THE BOTTOM OF MY HEART FOR EVERYTHING THAT THEY HELPED ME WITH. I’ve known Neptune Society for years and everything they did was just great. My first opportunity to work with them was in 2014. Then I had two more right together and in all cases, I got exceptional service from the Fort Myers branch, even on a short notice. I interacted with their rep Jason this time and his predecessor a couple of years ago, and I am just very impressed by the service. It’s really nice to have people you could rely on in terrible times. The Staff at Neptune Society were the best. Every detail was taken care of in a most professional manner. I would recommend using Neptune Society. My first experience with the Neptune Society was when my Brother In Law died out in Albuquerque, NM. They made it remarkably easy to handle the arrangements along with getting us the numerous copies of the Certified Death Certificate. When I got home to Safety Harbor, I called and set up my cremation arrangements with the Palm Harbor Neptune Society office. When my Son was killed on the job in North Carolina, I called the Palm Harbor office of the Neptune Society and gave them all my Son’s details. They contacted the Hospital & Morgue and worked with Carolina Donor Services to ensure My Son’s remains were handled properly and without delay. When it was all over, I paid the very reasonable costs and walked away knowing my Son’s final arrangements had been handled with Professionalism, Care, and Respect. We have had the misfortune of needing the Neptune Society’s services three times in the last four years. Each time, the Ft. Myers office has done an exceptional job from retrieving the remains to delivering the ashes. They have been fast, responsive, and very helpful. I hope you never need them, but when the day comes, I recommend them highly. Somebody sent us something in the mail about Neptune Society and they happened to be there at the time we needed a cremation plan so we went with them. My daughter, Jill, worked with their reps more than I did and under the circumstances, our interactions with them were all right. We also availed of their pre-planning services and we didn’t have a lot of decisions to make but to have it in place was good. I would recommend it to anyone. I would highly recommend the services of the Palm Harbor Neptune Society. The care and concern they showed at a most difficult time were greatly appreciated. Our Mom had prepaid her final expenses with them. We found no hidden charges or unexpected difficulties. They did everything she wanted and answered all our questions, being with us every step of the way. I want to thank Jason Costin for his compassion and excellence in handling all the necessary details for my husband. He was very patient and caring in helping me with the final arrangements. Once again, thank you, Jason, and Neptune Society. Jason and the Neptune Society Cremation Services of Ft. Myers were a pleasure to work with through the difficult times of my Father passing away. Jason guided my Mother and I through the process and made it such a very simple process, which was such a relief as there are so many other things on the list to do. He was clear, concise, and patient with our questions. I would highly recommend this organization and Jason to others. Thank-you Jason on behalf of our entire families! We are so thankful for the Neptune Society. The initial phone conversations gave us clear information as to what to do next. When we went in to pick up our brother’s ashes, we met Veronica, the director. Veronica was compassionate in every way as she listened to my sister and me. She even gave me a warm, loving hug. A special thank you goes out to her. 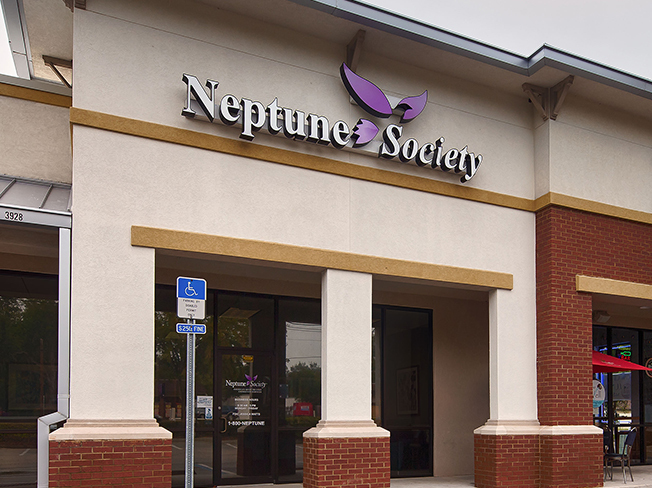 We strongly recommend the Neptune Society when dealing with the loss of a loved one. We were fairly new to the Fort Myers Beach area when my dad became very ill and just never woke up again. All his other loved ones are in Chicago so we had no idea what to do during his final days in hospice. Someone mentioned Neptune and after I called Deb she came right to hospice to explain what they did, and what services Neptune could offer us. She was lovely, extremely genuine, and patient with me. I was still in shock and could barely remember my own name let alone all my father’s details. After some conversation, I was able to calm down and hear her, and respond without crying. I can’t write enough about how much that all helped me, especially not having to make a trip out at that point and leave my dad. Then came Russ, the director at Neptune. He made sure all questions were answered, even if I asked the same ones time and time again, and made sure my dad got the proper VA accolades he was entitled to and deserved. I would never have thought of that because I was just so upset. I’ve called, gone in, called some more and went in again. No one was ever bothered by me or my questions. Mostly I was to again stress that the whole staff at Neptune are authentic in their concern for you and that the remains of your loved one are treated with the utmost respect. Thank you all. During a most difficult time, the staff was cordial, professional, and accommodating. My uncle had prepaid service with Neptune Society. The people that worked there took care of me and were very considerate and did everything that I didn’t know how to do. Was very pleased how Jason Costin handled the arrangements for my husband. He made everything as stress-free as possible and was always just a phone call away with my questions and concerns at such a different time. I would highly recommend them. From the moment your team arrived at my home to pick up my husband I was treated with great empathy and respect. The team treated my husband with the same, they were very careful to ensure privacy while moving him and when they left there was a rose left on his pillow, very touching. Thank you. Upon arriving at the Palm Harbor office and meeting Veronica Williams all benefits were explained graciously and with genuine care. She was instrumental in finding an honor guard to provide a rifle volley for my husband who had spent 27 years in the United States Navy. Thanks to her I was able to honor him as he deserved. I highly recommend the Neptune Society. Thank you again. My wife passed away unexpectedly. Fortunately, we were just discussing pre-planning our funerals the week prior, so I knew she wanted the Neptune Society to take care of her. She had been impressed by the Neptune Society’s professionalism when her father had passed away a couple years ago. When my son and I called to make arrangements, we spoke to Jason who guided us through the process. He could not have been more accommodating or understanding and I really felt my wife would be treated with dignity and respect. I can’t thank Jason enough for all his help and I completely recommend the Neptune Society. I was so thankful that we signed up with Neptune about a year ago. It made the loss of a loved one so much easier to bear without having to deal with a funeral home, etc. My sister & I were immediately put at ease when we met with Jason regarding some complicated circumstances regarding our father’s passing. He made us feel calm as soon as we sat down, he was very professional, informative, and was quick to respond with all the follow-up details. The process of making arrangements for myself was handled very professionally but with an equal measure of sincere concern that my needs would be met in a manner specific to my situation. What I received for the expense far exceeded my expectations. All the details were fully and tactfully explained, especially (and most important to me) the notification of my designated family member. I found no misstep, no lack of sensitivity and no unanswered questions. For all of the above, I would recommend the Neptune Society to my family and friends. From the moment I met Melissa Tart to completion of our services with William Spark, the entire process was nothing but perfect. The compassion, professionalism, and care used in handling the contract for my mother and her passing were very ideal. My family has been well served. The handling of my mother’s remains was done with reverence and care. Thank you Neptune Society. A really outstanding business. The Neptune Society was extremely professional and respectful when my husband died. They are the best for cremation. Others offer cheaper prices, but they nickel and dime you on expenses. Neptune arrived within 90 minutes of my call to pick up his body. Ms. Williams, the funeral director was very helpful. Our father recently passed away and we are grateful that we had made his final arrangements with Leigh at the Neptune Society of Fort Myers. As this was an extremely emotional time we couldn’t have chosen better. We would like to thank Jason for helping us through this difficult time and showing us his sincere care and support. Thank you for helping me at this difficult time. Jason was my contact person and was so very helpful with every small detail. My Uncle passed on the 28 of February and I had planned a memorial March 10, so much to do in such a short time. I wouldn’t have been able to accomplish this without Jason! Thank you. Thank you Neptune Society for being there. With pre-planned services, we don’t have to deal with anything at the last minute and Neptune was the only one we had information on. My husband took the pre-planning service and I’m on it too. The team came and spoke with my husband just before he died in the nursing home he was in. They were very thorough and did a very good job. If you have ever harbored doubts about having a loved one cremated, I hope you speak to Jason at Fort Meyers Neptune Society. You will not find a more thoughtful and efficient service at this moment of need. Neptune made everything so easy and Jason was totally awesome. I thought it was going to be so complicated and stressful but Jason had all the answers and was so kind-hearted. Thank you so much for everything you did for my family. Jason ** was extremely knowledgeable, compassionate and helpful as he guided us through the cremation process for my late aunt, Joanne **. I would recommend Neptune Society for my friends’ funeral arrangements without reservation. Thank you. A friend in California told me about Neptune Society and the recommendation was simply outstanding. I was told that the remains won’t be intermingled with others and there was a lot of peace in that. Then I called Neptune and the rep came out and spoke to me at my home. She was very nice and informative. our interaction was excellent and I got absolutely no pressure from her. I did a pre-planning service with Neptune. The funeral director, Samantha, was amazing and she was wonderful throughout the whole process. She called me the next morning. I had a lot of questions and she answered all of them, and that relieved a lot of anxiety for me. Neptune Society was great to work with and there’s no other organization that I would consider. In the past, my family has used Neptune Society on two occasions, with excellent experiences both times. In February of 2018, my mother was in home hospice care & passed away in her sleep. Between the hospice company & Neptune, I was given clear directions how to proceed. Mr. George ** at Neptune explained my options clearly & compassionately, then sent the contract to me via email. I was able to fill it out, notarize it, & return it via email. The time frame we had been given was accurate, & I was contacted as soon as everything was ready to pick up. I was treated professionally & very compassionately through the whole process, & would definitely recommend them to a friend. Enduring the loss of a loved one is such a difficult time, one which especially calls for understanding, compassion and gentle kindness. To say that the Neptune Society provided this to me is the understatement of the year. Jason was truly amazing in his kindness, thoughtfulness, and grace. I couldn’t be more grateful to him, and to The Neptune Society, for everything they did for me. I strongly recommend them for the care of your loved one upon his/her passing. I was very pleased with our Rep. Kathy. She was very knowledgeable and presented the plan with dignity and helpfulness. She covered all of our questions thoroughly and to our satisfaction. She was a real pleasure to have in our house as your representative. Kathy is a credit to your team. Thank you for your service and help. My father had pre-arranged his cremation with Neptune Society. The woman who helped me, Samantha, was so perfectly suited for her job. She made everything just wonderful. Every attribute I would want in a person in that job, she had. She was perfect. It was a very positive experience. Karen Roldan was so helpful and compassionate. She made this very difficult time for my family so much easier. I can’t thank her enough. A very special individual. I want to share with anyone who has lost a loved one. 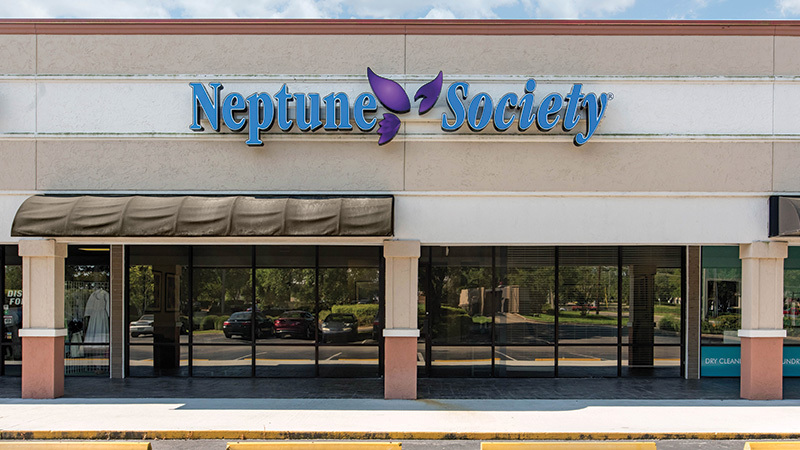 Our experience with Neptune Society Ft. Myers was exceptional! In our darkest time..they delivered! Everything seemed overwhelming until Mr. Costin walked us thru every step and made everything so easy and simple. At our time at need..this is exactly what WE needed. I want to recommend Neptune Society to anyone and everyone! My husband and I have already made our decision to sign up immediately! Thank you, Jason, for all your compassion, availability, and giving us your personal cell phone number! Tho…we felt like we were bugging you at 10:00 pm for a simple question! As usual..you answered with kindness! Received the highest standards of professionalism from the Neptune Society. They took away the guesswork on what I had to do. They anticipated every issue and resolved it immediately. Their follow-up on any issue was tremendous. Can’t praise them enough. I am so fortunate that I contracted with them several years ago and have absolutely no regrets. The service was impeccable. Your contact person was very informational and discreet and helpful yet was very caring and considerate of the situation. These people work very well with everyone. They are awesome. I would recommend to everyone and anyone. Very responsive, compassionate service at our time of need. Their assistance greatly reduced the stress and answered so many questions. Would not hesitate to recommend them to anyone. My father in law had the foresight to prepay his cremation and final arrangements through the Neptune Society. From the initial notification phone call to Neptune to the burial, Kathy, Laurie, and the entire staff were there for us all along the way. They were helpful, professional, informative, and compassionate. I recommend them highly. I was so very pleased with the service I received. Jason did a wonderful job of answering all of my questions and responding to all of my family’s requests. My husband passed away so unexpectedly, but the Neptune Society helped to navigate through the issues after his death. Much thanks to them. When you have a loved one get seriously ill and die, you are overwhelmed with all you must do. In my father in law’s case, we were in California planning his hospice help and help for his wife originally and made harder by the distance and illness that was making everyday tasks harder for him to remember. However, a few years prior, my father in law had sent us the card with his Neptune details (that you just keep in your wallet) telling us prior just to call when he had passed and told us how it saved them money. When he did pass, what gave us comfort was that he and his wife had not only prepaid their funeral arrangements through Neptune but also prearranged all their memorial wishes. He knew he wanted to be cremated, he knew where he wanted to be buried. Jason from Neptune Fort Myers couldn’t have been more helpful. He even suggested a ceremony at sea in addition to my husband’s father was a Navy Veteran which we knew he would have been very touched by. A loved one passing is hard, but Neptune helped us by overnighting cards for the service, helping us by contacting the paper for the obituary and doing it all in a way that felt like a trusted friend was helping instead of a service. Now I and my husband are thinking we will use them as well, it really does help your loved ones to have it arranged as you want when your time comes and I can’t say enough about how great Neptune and especially Jason helped us. The Neptune Society Team did an amazing job of handling the details of my mother’s cremation. They handled each detail with patience, compassion, and dignity. Thank you for helping us through a very trying time. I have nothing but praise for the Neptune Society during one of the most difficult times in my life. I wasn’t sure what to expect when I walked into the office but was greeted with compassion and professionalism. I worked with Veronica, who was exceptional, and took the time with me; most importantly- she listened. Luckily, my father had pre-arranged Neptune Society and I would recommend it to anyone. Samantha was wonderful to work with. She has the perfect temperament for her job. She gets my highest praise and recommendation. My Mother purchased a pre-planned cremation package for remains. It was the best thing she could have done. The stress of a family member dying is hard enough. Planning with Neptune Society is something I highly recommend for all families. My grandmother wanted to be cremated and prepaid for Neptune Society’s services. They were really nice, polite, and sensitive to my emotional status and needs. They talked to me about everything and walked me through it. I would recommend them any day. Jason handled everything with compassion and thoughtfulness. My wife and I finally decided to look into cremation. We talked about it for some time. We saved different ads and chose to call Neptune Society to get information. After talking to their representative we signed up. They covered everything that you can possibly encounter when you pass away. We received a booklet to fill out with all our personal, financial and request. This made us gather all that information so our family didn’t have to pull their hair out looking for all the paperwork. The price under $3,000 each, was also a deciding factor. Being informed that I can have a military funeral and that my wife and I can be entombed above ground together was the icing on the cake. Neptune Society handles everything. They even financed the whole thing. The sales rep was very helpful and courteous and all that was expected has happened. We received our cards and the urn at the time he said it would come. We are pleased and happy we made the right choice with the Neptune Society. Everyone at our Neptune Society in Fort Myers, FL was very caring, informative, and knowledgeable about every aspect of the cremation of my brother. They explained every step of what we would need to do. I highly recommend the Neptune Society to anyone looking for first class service. Very happy with my decision, that was what I was looking but never found any reliable company that I could trust. I thank my friend that provide me with the information to contact you guys. Thank you very much. Veronica went out of her way to make this process as easy as possible. almost all of the organizations that need to be contacted. I would recommend Neptune to anyone. This Young Lady Veronica Williams is wonderful. She knows what she is doing/ She spent time with me and I think she has so much passion and is someone everyone should get to know. I hope you tell her what I think. My friend Randy ** sadly passed away November 7th. His wife Donna who is also a very close friend was so distraught, I needed to help with the cremation arrangements. I was treated so kindly and respectfully. I would truly recommend Neptune Society. Thank you all sincerely. Mr. ** in the Ft Myers office could not have been more comforting and supportive. I had a list of questions and concerns which he addressed completely. I was able to make decisions that were not only comfortable for me, but that was unquestionably correct. He said he would be available at any time for more questions and was! Thank you, Neptune! Sheila **, Funeral Director and supporting office staff performed an invaluable service to me and my family with the utmost professionalism, care, and support. I cannot thank everyone enough for this spectacular performance! Hats off to a job well done! I had this mistaken impression that when you cremate a loved one, the process might be impersonal, but I was wrong. My counselor at the Ft. Myers Neptune office was patient, compassionate and only had my best interests in mind when speaking to me. He took care of all the details a formal funeral home would have and above all, was kind and compassionate to me. I thank Mr. Sparks very much. I was very moved by the compassion I was shown during the most difficult time in my life (Death of my husband, James). Samantha ** was my arrangement counselor & she was not only very helpful explaining everything, she was so caring about it as if I was the only person she was dealing with! We used Neptune Society when my mother passed & I knew from that experience that I would deal with Neptune Society for future needs! Thank you for everything, I could not have asked for more! Very kind and helpful, during this very difficult time for me. I was amazed at the timely return of my husband’s ashes. Also, the necessary certificates that I needed. The Palm Harbor staff was compassionate and professional. Thank you so very much. We were impressed with how promptly Jane ** responded to our inquiry at the Neptune website. She was very professional and explained everything. We want our funeral arrangements to be easy for our family. The cost will only go up so we are saving money in the long run. My experience in settling my wishes for cremation was a very professional and satisfying decision. It takes a huge burden off of my children’s hands. Michelle ** is a great representative of Neptune and extremely thorough in describing all that is covered under the contract. My mind is at peace knowing I’m in your care. Thank you. The loss of my 30-year-old daughter was more than any mother should have to bear. How do you plan for that? I asked myself… From the moment a representative came to our home to speak with us until we picked up our daughter’s remains the individualized attention was outstanding. Sheila was by far a light in a very dim room. I have dealt with the Palm Harbor office and Kathleen ** twice this year. I could not ask for better service or compassion than what Kathy has shown to me. Always very professional and open to helping even after all of the arrangements are taken care of. I know I can call anytime for advice or help. A wonderful group of people and I cannot thank the Neptune Society enough for being there for me. My mom passed a week before hurricane Irma. Even with this event, Neptune Society provided quick and quality service to my family. I would highly recommend Neptune Society. My family and I were treated with the utmost respect and dignity. Our desires and needs were met with kindness and warmth. I felt like the gentleman handling everything was more like a family member than a funeral Director. Thank you, everyone. The experience of losing my wife was devastating. My experience with Neptune Society was fortunately exactly what I signed up for so many years ago. Alexa ** was so kind and patient and had all the answers to the many questions that I had. Excellent performance by her and the office staff in Pompano Beach, Florida. All of my questions were answered in a straightforward manner. Subsequent inquiries were handled likewise promptly. My contact person, Alia ** was very knowledgeable and responded to all of my follow up inquiries in a timely and fully informative manner. I have since received complete documentation including Identification and Travel cards. I would highly recommend this individual and the organization that she skillfully represents to any and all who may feel the need for informative decisions that are required for an end of life plan that gives me total peace of mind. Thank You very much. My thanks to Mr. William Spark for his kindness and help. I can’t say enough good things about this service. Mr. Spark took care of everything. All decisions and paperwork were all taken care of and it was a relief to not have to do it in my time of grief. I attended a seminar back in Jan. 2017 for the Neptune Society and I was very impressed by everything that was said. At the time, I bought the plan for myself. When I went home and told my mother, she said to sign her up too. Unfortunately, she passed away in April in the ICU. The Neptune Society was caring and made sure everything went smoothly. Two days later I went in the office to sign some papers. Everything I ordered was done promptly and efficiently. Alexis,Garcia, was extremely helpful. I’m glad I’m giving my daughter peace of mind by having all my arrangements prearranged. I highly recommend them. I returned to Neptune Society services when my Mom recently passed. I believe I worked with Trina (forgive me if I have forgotten name). Neptune Society had been so good with me when my Dad passed 10 years before. I plan to pre-arrange for my own cremains with Neptune Society so that my children will be the recipients of their tender care. The Neptune Society has provided outstanding service from when they first came to our home and we purchased services years ago to when my husband died in July of 2017 and beyond. Samantha Giesler of the Palm Harbor, FL office has been professional, compassionate and tactful each and every time I’ve spoken with her. She has walked me through every step and given me a heads up when necessary. I don’t know what I would have done without her. I have recommend Neptune Society’s services to many of my friends and will continue to do so. You provide a very valuable service and do it outstandingly well. Thank you!! Adam Plutchok and everyone at The Neptune Society made a very difficult time as easy as possible. They took control and assisted me every step of the way. I would highly recommend them to everyone. Thank you for your kindness and concern. I’m grateful for the upmost professional staff at this location with the care they provided for my father’s death to the gentle manner in which they care for our family during this time. In addition to handling all of the cremation details, the director ensured that my mother received an American flag for my father’s reserve service many years ago. This is a review of the Neptune Society and, in particular, Ms. Alia Smith-Acala, who is an independent sales representative for this exceptional organization. Recently, suffering from an acute rare sense of responsibility, I contacted the Neptune Society to investigate certain end-of-life services, and was promptly directed to Ms. Smith-Acala. My initial contact with Ms. Smith-Acala was very positive, and during our brief conversation we set up an appointment to discuss the Neptune Society’s breath of services. Ms. Smith-Acala generously offered to conduct this appointment at my townhouse, a convenience for me, but which also immediately established an environment of considerable comfort for me surrounding this delicate topic right from the start, knowing we could conduct this confidential interview in the security and privacy of my home. Ms. Smith-Acala was first of all punctual, and she successfully created an air of cordial professionalism and warmth, while immediately conveying a genuine concern for me regarding the subject of our meeting. Ms. Smith-Acala then carefully explained to me the nature and extent of Neptune Society’s end-of-life services, and patiently and thoroughly answered all of my questions. At the conclusion of our interview, I had already made a considered decision, and selected the right options for me, all with the guidance and help of Ms. Smith-Acala. I then experienced an overwhelming sense of positive relief and satisfaction at the prospect of having this matter settled. I realize this end-of-life topic is difficult for many people, as our mortality is something we’d often like to forget, but it’s a matter to maturely and responsibly address. I also recognize the Neptune Society’s end-of-life services may not appeal to everyone, whether due to religious grounds or simply personal preference. But, if expense for these end-of-life arrangements is a concern, or a desire to simply consider a viable alternative to more conventional approaches to these end-of-life matters, the Neptune Society’s services are worth seriously considering. And, Ms. Smith-Acala will serve as an excellent, caring guide if you choose to give the Neptune Society’s services some thought and consideration. One aspect I can’t fail to mention is the Neptune Society treats its clients with exceptional fairness, and will not retain any fees for services it cannot perform. Also, there is a decent period allowed each client for a change-of-mind, if you find yourself later in a panic about your choice, or decide on an alternative in consideration of loved ones who have persuaded you to follow a different path. But whatever your personal circumstances, or ultimate decisions, I can’t recommend Ms. Smith-Acala to anyone highly enough, and I can easily exhaust a large collection of positive adjectives to describe her, regarding her professionalism, care, patience, respect for her clients, etc. Please think seriously about contacting her. She will make this topic a comfortable one for you, and if the Neptune Society’s services are right for you, you will be very happy to have reached out to her. Ms. Smith can be reached by e-mail at Alia.SmithAcala@neptune-… or by telephone, directly, at 904.866.1577. When my mother passed away suddenly in Florida, and myself being located in Chicago, dealing with this situation is already incredibly tragic and difficult. The Neptune Society was incredibly caring, and HELPFUL! I really cannot emphasize how manageable they made a difficult situation, and how they handled everything from beginning to end. I literally don’t know how I would have dealt with everything without their services, without William Spark and his incredible staff. Thank you, everyone, for your assistance during this difficult time. I would highly recommend The Neptune Society pre-planning to anyone, and I’ve been recommending this valuable service to friends, particularly those who have family that live great distances away that they care for. These people were so professional and caring. They made a very difficult time trouble free. They guided me through the process step by step and handled everything. There was no hidden costs, no miscommunications, no long delays. My representative, Samantha, was wonderful. Always pleasant, very thorough, made me feel like I was her priority. Can’t thank Neptune and Samantha enough. Have already referred friends. Chelsea was very responsive and sincerely supportive with none of the perfunctory “So sorry for your loss. Have a great day.” I heard in disbelief repeatedly while tending to my father’s affairs. I had to manage most details long distance and she made it very easy to take care of paperwork, etc. I would highly recommend The Neptune Society for making a difficult time as simple as possible. From the moment I signed up for cremation for my husband and myself until today when I went to pick up his remains from the office every person I dealt with was so wonderful. They were all caring and really made me feel better about what I am going through. They were there right away when we called that my husband had passed away and were so gently with him I could not have asked for more. Everything was handled for me so all I had to do was sign papers and pick him up. They notified those who needed to be notified which took a lot off my plate. I would recommend them highly and have confidence that when the time comes for me to be in their hands my family will have the same respect and concern given to them that I received. Thank you. The Neptune Society in Palm Harbor recently handled the cremation arrangements for my Father. The service provided by Samantha, the funeral director, was wonderful. She was professional, efficient, and compassionate. Samantha took her time with us, answered our every question, and kept us informed throughout the process. Compared to other funeral homes that we have used, The Neptune Society in Palm Harbor provided superior service for an economical price. Our family is so grateful that they were there to help us during such a difficult time. When I walked through the doors of The Neptune Society, I was not sure what to expect. After just losing my husband, my mind was not clear. I was greeted by a most genuine, comforting smile. That feeling of comfort did not go away. Jessica and staff were there for me as if I were the only person who needed them. I thank them for making my walk through such a valley a little easier. Samantha ** from the Palm Harbor, FL branch was so wonderful and compassionate about every aspect of our loss. She took her time to explain our options and answer all our questions as this was the first death in our family. Highly recommended! Working with Neptune Society was very easy. My Mother had purchased her cremation years earlier in another city but when she died one phone call made everything start and finish without any trouble on my part. It made my job so much easier at this sad time. I can recommend Neptune Society without any reservations. The compassion, help, and expertise was wonderful. The staff was so helpful, answered questions, made arrangements and kept our family informed during every step of the process with the arrangements for my brother. This experience has made my wife and I realize that our decision to become a member several years ago was a wise one. Neptune Society came to our American legion and asked to speak in one of our meetings, so we let them come in and gave a spiel at our private meeting. There were four of us who liked the way they told us and liked the person giving the views of the Neptune Society. Then he asked us if we want to learn more about it, and invited us to come to a luncheon. And so, we did. We went down to the Red Lobster, had a free meal and learned a lot more about it there. After that, we invited them to our home and we filled out the papers and everything in private. They were very courteous and overly helpful. They did everything very well. It was a good experience with Neptune Society. Mother was attended by Hospice for many weeks …..we were in Europe when Mother passed and we tried to get home when the Hospice Nurse told us it was time. Unfortunately we did not make it in time…..thank God Neptune Society was called and took care of all the details. They were honorably professional and kind. We are forever in their debt. Mother will Rest In Peace forever as she planned and set up with the Neptune Society. As sensitive Rickas end of life discussions always are, The Neptune Society offers professional, caring and important information on this subject. After meeting with a local funeral home to make final arrangements for my 95 year old mother in law (still alive and well) we were astonished to learn that it would cost over $12,000.00! We then discovered The Neptune Society at a seminar and were so impressed with what they offered, we signed ourselves up thus saving thousands of dollars and relieving our kids of having to deal with end of life responsibilities. Very professional from seminar to sign up. I’ve worked with Neptune Society twice now for my father and for my stepmom, and they’re wonderful. My father prearranged and prepaid their burial with Neptune Society in the 90’s. So I followed what he told me to do. The first time, I had to drive with my stepmom all the way to Jacksonville when my dad died but they were great. The second time, when my stepmom passed away and I was calling Neptune, they were able to come to my home because one of their representatives lives nearby, so I didn’t have to drive all the way to Jacksonville. They had me sign the cremation permit, some final papers, death certificate, how many I needed, and just stuff that the state controls the cost. That made it easier because I work and had a lot to do in just a couple of days. They made my life so much easier. They were very efficient, thoughtful, caring and honest. My dad had picked out a mahogany box. They didn’t carry that product anymore but they were able to offer one that was very similar and they didn’t charge me anything extra. It was an excellent experience with Neptune Society. I was very impressed by the way this was all handled. I had my doubts about this program going into it. My father bought into it for himself, so I remained skeptical. I called Neptune after his death, and throughout the whole process, I received excellent service and accurate information all within a very professional manner. Kathy, from the Palm Harbor location, was great to work with during my difficult times. It is because of their level of excellence that I have bought a plan for myself. My experience with them was enough to sell me on getting my own plan. Thank you Neptune!! Very pleased with the presentation to Neptune. Our coordinator was very knowledgeable and friendly. The whole experience was wonderful, and we are happy that our end times are taken care of, and our children will not have to deal with this. Samantha Giesler is a wonderful representative of Neptune. She is very kind and informative of her services. Thank you so very much for your thoughtfulness and kind words. A big “Thank you!” to Jessica and Shelia for helping us get through the difficult process after my Mother’s sudden death. Mom and Dad were married 67 years. As you can guess we are heartbroken. These two caring and loving women were there to help us – not to sell anything! Their professional demeanor and kindness helped make the process seam easy even though it was difficult! Again, thanks to both of you! I would like this opportunity to thank everyone (Jennifer and Sheila) for the excellent service and give them a 5 star rating. When you lose someone you are not completely thinking straight and they helped my family through the maze of grief. I would give a ten star rating. Unfortunately, this is my third time working with Will Sparks. All 3 times he has made it much easier for me to deal with the loss of my loved ones. He is professional and caring and very responsive to any questions or help you may need. I hope I never need to do this again, but if I do, I want to work with Will Sparks. We had a wonderful experience with Will Sparks. He was patient, knowledgeable. We found that everything Will told us would happen; did happen and seamlessly. We recommend this group whole heartedly. What a relief to have the Neptune Society. They were professional and very knowledgeable but also very caring. All I had to do was make a phone call and everything was done. Jessica Watts handled everything regarding our loved one’s passing. She was great and we are most thankful. Very compassionate and sensitive. Kind and helpful. Having my sister die in Jacksonville, Florida without close family. I can’t say enough about working with Sheila and the Neptune Society to take care of the cremation, death certificate and all the final arrangements that needed to be taken care of. I would highly recommend Neptune to anyone in need. You have been great and can’t thank you enough. The Neptune Society was a great help with my fathers passing. Being a Navy hero, they arranged to have his ashes spread at sea on a the USS Iwo Jima with a ceremony in his honor. He would have been very pleased. I sure am. Thank you for your loving support! My Dad prearranged their cremation funeral services with Neptune many years ago which made it so easy on the family. Neptune is a top notch customer service based organization. They helped with every detail and even came to our home with the final paperwork and remains. This time saver helped so much as we received so many calls and visits from beloved friends. A special thanks to Jessica. Jessica Watts and the Neptune Society was of great assistance to me and my siblings after my father passed away. We are from out of state, and Jessica and people on her team such as Sheila liaised between the cemetery, the paper that was publishing my father’s obituary — they even delivered flowers when the florist failed to do so correctly. I’m in great debt to them, as they made a seemingly impossible situation feel a bit more manageable. Thank you for taking care of my dear friend. Sara and Chelsea were so helpful and caring. I highly recommend Neptune Society Summerfield! The whole staff, spearheaded by Kellie Hoodiman, were very professional from the start of our family’s dealings with Neptune Society. It so happened that our parents passed away one after the other, within two-months time, which caused much emotional strain to the family. The Neptune Society Pompano Team assured and assisted us at these times, particularly on the special documentation and logistical requirements required upon transportation of our Parents’ remains. We are very grateful. Angels on Earth do exist! I so appreciate the kindness and the efficiency of the Neptune Society as we said goodbye to my brother. I was trying to help a friend of mine find a place, and we went to Neptune Society. From the moment we walked in there, they made us feel very comfortable. They were concerned in how people feel when they lost someone they love. The receptionist was as sweet as she could be, and Chris walked us through everything. He gave us his cell phone number and told us to call many times. He answered all our questions, and if he didn’t know something, he got right back to us with it. I would go back if I ever needed to and hope to God I don’t need to for a long time or ever do it in a row. I would go back to Chris again. He was fantastic. The service went well and everybody made sure everything went well. They did an awesome job, I can’t ask for more. Thank you for making such an earthshaking task bearable for us. We were very pleased with the way this task was handled. Things were done in an under standing manner and were also done in a timely manner. We were pleased with all the help we were given. Thanks for being so understanding. Everyone involved in helping me with the arrangements for my Husbands final resting, was very helpful, professional and compassionate. They followed through with everything agreed upon and more. My mom and dad made prearrangements with the Neptune Society which made my work simple. The staff were kind, caring, friendly and responsive to my needs. The staff were quick and efficient. Liked the company very much. I have been helped by both offices and received excellent service by extremely thoughtful and caring people!! Jessica Watts and the Jacksonville office were wonderful with the recent passing of my Dad and handling my Mom almost 6 years ago. My sister and I are both 1000 miles outside of Jacksonville and she made the the whole process especially dealing long distance, painless. We were kept well informed all the way through and I would MOST definitely recommend Neptune Society without any reservations. Incredible service. The company delivers exactly what they describe in the brochure. The whole family was very pleased with the service provided by Jessica in the Jacksonville office. We were so pleased with the service provided that a number of the family members decided to utilize the Neptune Society’s plan going forward. Jessica took all the stress out of dealing with the details and arrangements for my Dad and our family. My husband and I are planning on contacting Neptune to make our pre-arrangements so our children are taken care of as we were. Bravo. Jessica Watts and Sheila Williams were extremely kind and compassionate throughout a very difficult time, losing our mom. From the beginning, they guided my sister and I and kept us updated throughout each step. Without their help and compassion I’m not sure what we would have done. Thank you both for the kindness that you showed to us. We will never forget you. Jessica did a great job of listening to my memories and helping me thru a trying process. Neptune society took great care of my good woman’s passing and I am sure I will be treated the same way. Great comfort knowing my kids will not have to endure the process for me. Thanks Jessica. The folks at Neptune Society have done an incredible and sensitive job in resolving our grief over the death of our son, Craig. They have been sympathetic and efficient, always kind and helpful. My wife and I have nothing but praise for these fine people. They go above and beyond the call to duty. We cannot say enough about Jessica and others in in this office. Thank you Neptune Society for having such competent helpers and counselors. I wanted to thank you for helping us through all that we needed to do. At moments like this, having someone around with grace and patience means a lot. Especially since we lose our minds and cannot grasp or comprehend everything that is going on. On behalf of my wife and myself I wish to thank you for your help through these trying times. You are a Godsend and a blessing. May the Lord bless you abundantly. Incredible experience, I highly recommend this service. I called a toll-free number and received a call back within an hour. Was able to schedule an appointment within two days. Do your homework, you won’t find a better price. There are a couple different ways to go, but nothing complicated. In our case, my father-in-law was already at Hospice, and it was an emotional decision. We felt very comfortable and the salesperson was kind and empathetic. When he passed away, we called the toll-free number again (they give you a card to carry in your wallet) and they did the rest. We were contacted by the administrative office for some small details (how many death certificates we needed), and the person there was very kind also. Everyone we talked to had a kind and understanding way of speaking and helped us a lot during the difficult time. So, all in all, it was a very excellent experience and I highly recommend it! To be honest I wasn’t sure when my older brother said he had a pre paid cremation service. Since the charge he paid was little compared to an after death cremation through a funeral home I really didn’t expect much. That is until he passed away. The nursing home called Neptune on my behalf and they took complete charge in such an orderly and dignified way. Everything they did they announced in advance. Their communication and service was excellent. His ashes were to be scattered in the Gulf of Mexico. They did that expeditiously and sent me a certificate of the exact co ordinates where the ashes were scattered. I highly recommend their services to anyone who wishes to be cremated and I only wish there was a higher rating than 5 star because they were more than exceptional. 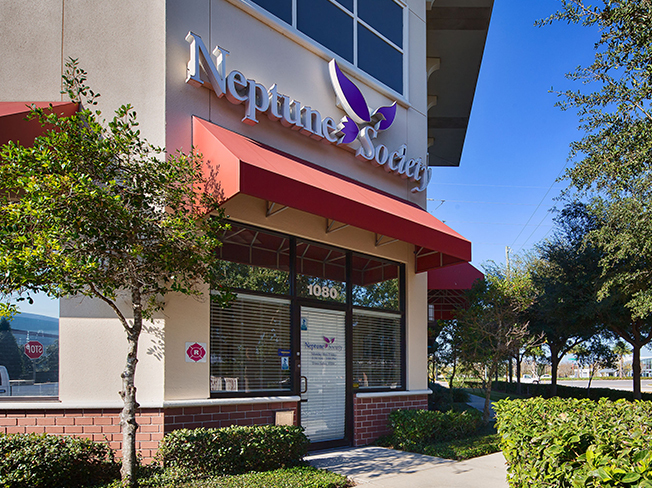 The Neptune Society provides first rate customer service and thorough process to prepare for the end of life. The director Kellie was extremely kind, helpful, and professional during this tough time. Thank you again and again for all you’re hero. She is a true professional. Shaun, thank you for your kindness during this very difficult time. We appreciate everything you did and were glad to have you partake in our event. Your service was instrumental. Thank you. They were prompt, and their price was really reasonable. Their service is good. They have taken care of all of the arrangements. Mr. Carlson’s and the Neptune Society’s services are extremely superior… We highly recommend Gil Carlson and the Neptune Society in Summerfield to any and all who are in need of similar services. They are superb! Excellent service. Handled everything at our time of need. Took considerable stress off of the family.I would highly recommend Neptune Society to anyone interested in cremation. Could not be more pleased. I just wanted to take a moment to thank you for all your help with arranging and executing John’s cremation and delivering “him” to Connecticut so I can arrange his final resting place with his parents here in the northeast. And thank you for all the useful information you provided to us and guiding us through this process. It was very difficult for us with myself and my children each living in 3 different states other than Florida and you certainly made it so much easier on all of us. You provide a very valuable support and service during a very traumatic time for families and we appreciate everything you’ve done for us. Thank you, thank you. Joyce B. and John and Jana F.
Jessica, words can’t describe how grateful we are for everything you did for us. Losing a child is one of the hardest things a parent ever goes through and trying to take care of arrangements when the pain is so raw only makes things harder. Thank you for not only being there for us but also doing things that at the moment we didn’t realize how important to us they would be. We are one of the few lucky that can say they had compassion and great service when trying to make difficult decisions. We feel like you genuinely cared about our family and helping us get through this difficult time. Thank you for talking to me on the phone and just listening. You have no idea how important is was to us to be able to have her ashes with us at her memorial service and how much closure it brings to have a death certificate and know that she mattered and she was here. When her ashes didn’t fit in the urn we had picked, you quickly took care of the arrangements for us to be able to get a new one and having her in one place all together has been very important to us. Words can’t describe how grateful we are and always will be for all you did and we hope that Neptune Society knows how lucky they are to have you. God Bless you and once again thank you. George, we appreciated all of your attention to my mom’s passing. You and the staff were gracious and loving in our hardest moment. May God Bless you. Click for a list of items and services that may be included in a Florida funeral service. Off the coast of Key Biscayne in Miami there is a very unique way to memorialize a loved one who loved the sea. 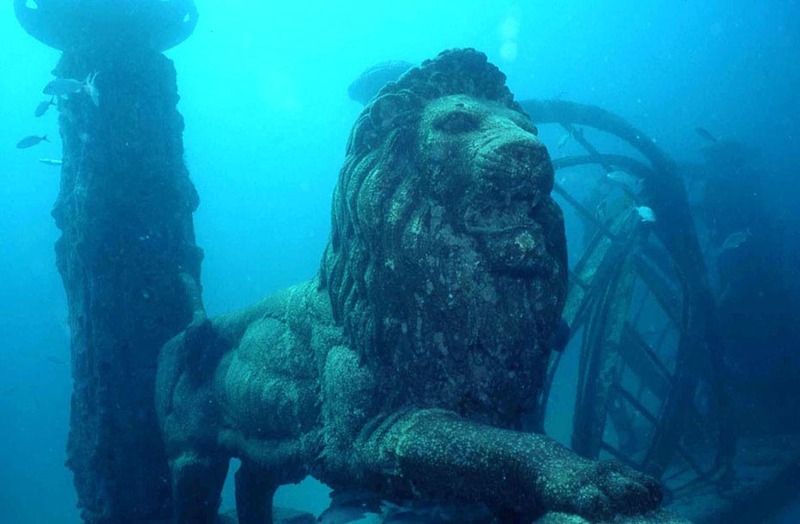 The Neptune Memorial Reef is an artificial reef whose structures are made out of cement mixed with the ashes of loved ones. Each structure in the reef, including lions, towers, and sea turtles, memorializes a different loved one with a special plaque. This is truly a living memorial; thousands of fish and sea creatures make their homes here, making the Neptune Memorial Reef and eco-friendly place to rest one’s ashes as well. To plan a memorial here, contact the Neptune Memorial Reef today. 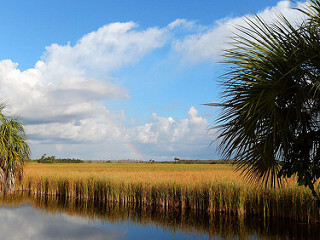 Located in the south west corner of Florida and just north of Everglades National Park, this is Florida in its natural state. On the surface, this appears to be nothing more than a swamp, but this preserve plays a huge role in maintaining water quality and protecting wildlife such as the Florida panther and the American alligator in the Everglades and the rest of South Florida. Scattering ashes here legally will not harm the wildlife, but it will allow a loved one to become part of the vibrant environment. To receive legal permission to scatter here, simply complete the special use application on the Big Cypress National Preserve website and follow the instructions. For another kind of water-themed scattering, consider scattering ashes at sea. This service allows loved ones to gather on a boat, drive out, and scatter a loved ones ashes in the warm waters of Ft. Lauderdale. Flowers and catered services may be provided as well for an extra charge. For more information about Ft. Lauderdale Burials at Sea, contact them today. Do NOT scatter at Walt Disney World! While this is a popular location for inconspicuous and illegal or “wildcat” scattering of remains, all families who have requested permission to scatter within the park have been denied the privilege. Other major theme parks including Universal Studios have similar rules. Even if you do successfully scatter in a theme park, chances are that the remains of your loved one will simply be swept up by cleaning crews and disposed of in another way. 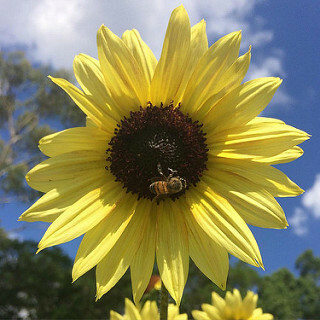 Located just outside Downtown Orlando, this unique garden makes a picturesque place to memorialize a loved one. No need to bring flowers to a memorial service here; over 50 acres of gardens filled with colorful flowers make up this special place. With specialized assistance in setting up memorial services, Harry P. Leu Gardens is also a fairly easy place to plan a memorial service. 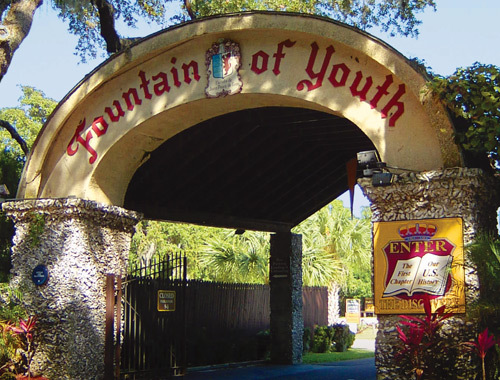 To celebrate the life of a lively loved one who was always young-at-heart, what better place is there to host a memorial service than the legendary Fountain of Youth? Located in the Historic District of St. Augustine, this Archeological Park has both historic beauty and youthful renewal to add to your memorial service. To host an event here, download their pavilion rental contract and call the park for more information. For those who love art, the circus, beautiful homes, or all three, The Ringling offers a beautiful location to host memorial services. 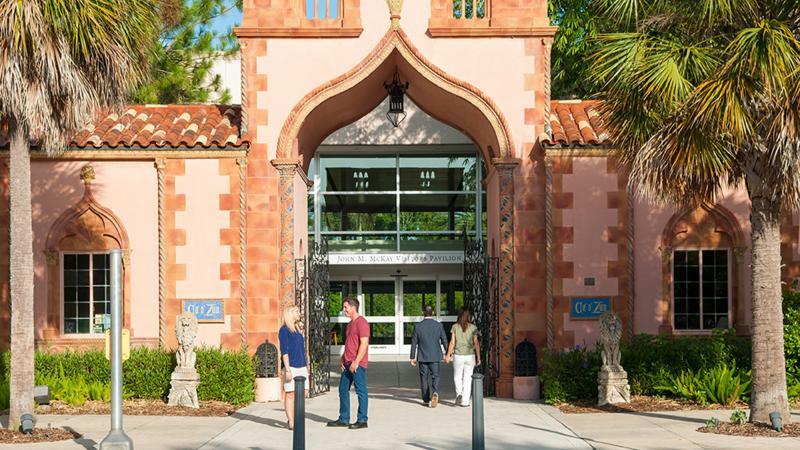 After serving as the estate of the famous Ringling brothers the Sarasota property was converted into an art and circus museum. There are large and small spaces to host events, giving you flexibility in planning your memorial service. For more information on the options for these events, contact The Ringling. What happens if you can’t pay for funeral services in Florida? In Florida, an unclaimed body will first be offered to the Anatomical Board as a donation to science. If it is not accepted, the body will be embalmed and then either buried or cremated, whichever is more convenient for the local funeral home carrying out the final disposition. State Motto: In God We Trust – same as US as a whole! Bonus Fact 1: St. Augustine, FL is the oldest city in the United States. Bonus Fact 2: Florida has over 1,300 golf courses, more than any other state. Our affordable plans have helped 100,000’s of Americans during one of life’s most challenging moments. We are proud to serve in Florida and to offer our families options to pre arrange with us. Florida residents can now make arrangements from the privacy of their home. Our simple 4 step process makes it easy to plan ahead. If at any point you have questions or would like to speak with one of our licensed funeral directors, just call our local office. We are here to help. This Bigfoot-like creature is rumored to roam the Florida Everglades. It is seven to eight feet tall, twice as tall as the four-foot sawgrass it is often spotted in. Fifteen-inch-long footprints have been discovered that could belong to the creature, and there is video footage on YouTube that may possibly be the Skunk Ape. It earned its name from the early pioneers of Florida by leaving an awful stench in whatever location it’s recently visited. The smell is said to come from the dead animals in alligator dens that it often burrows into for easy food.